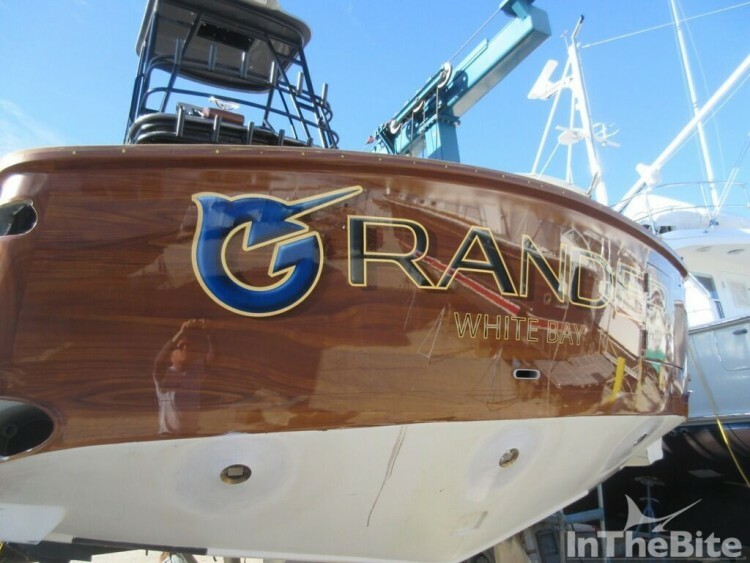 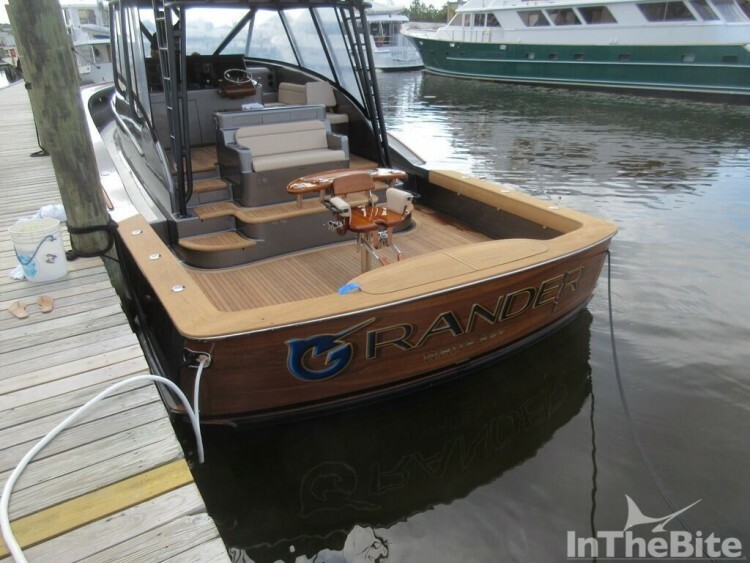 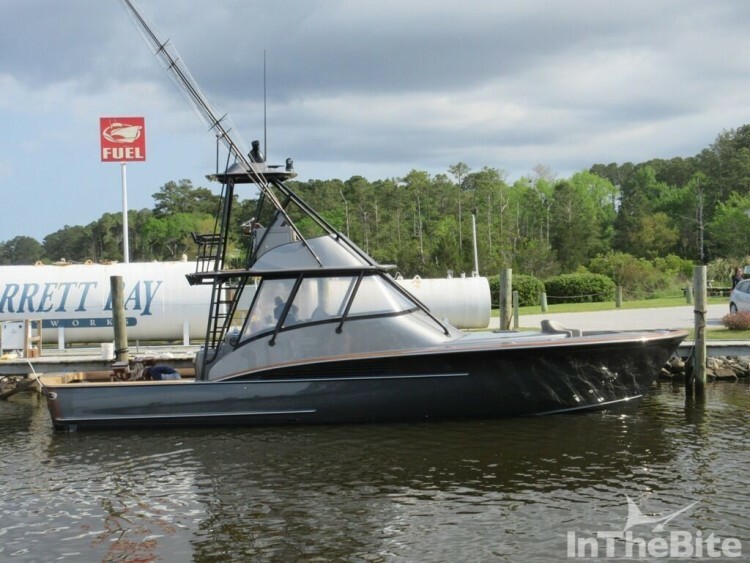 April 21, 2016: With her hull now painted in Alexseal Metallic Steel Gray and the hardtop and tower installed, Grander is inching ever closer to her impending launch. 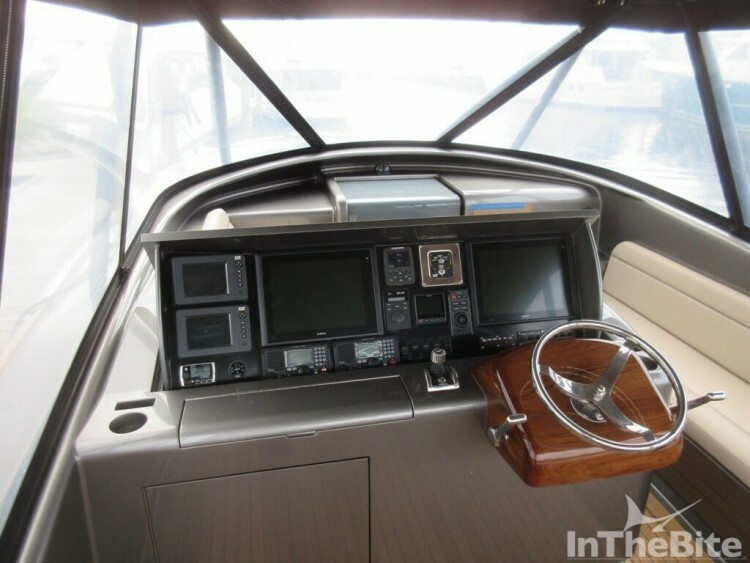 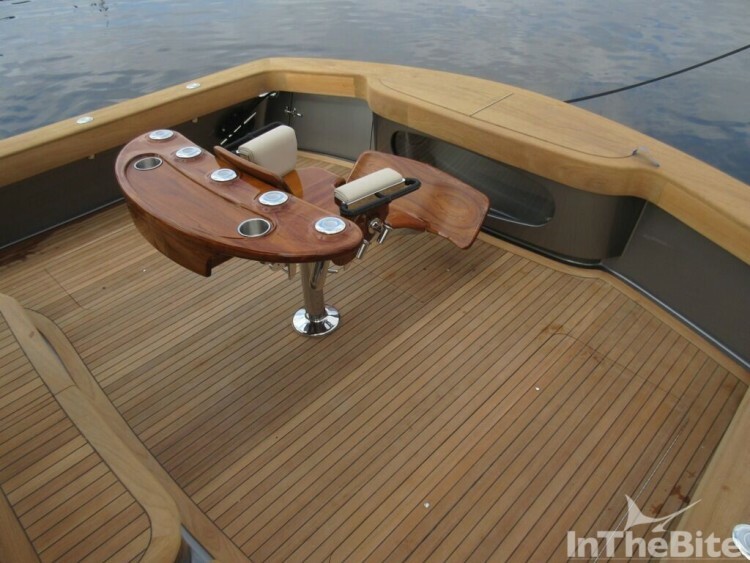 Finishing touches have occurred throughout the interior as her electronics and navigation package are installed in the helm and flybridge. 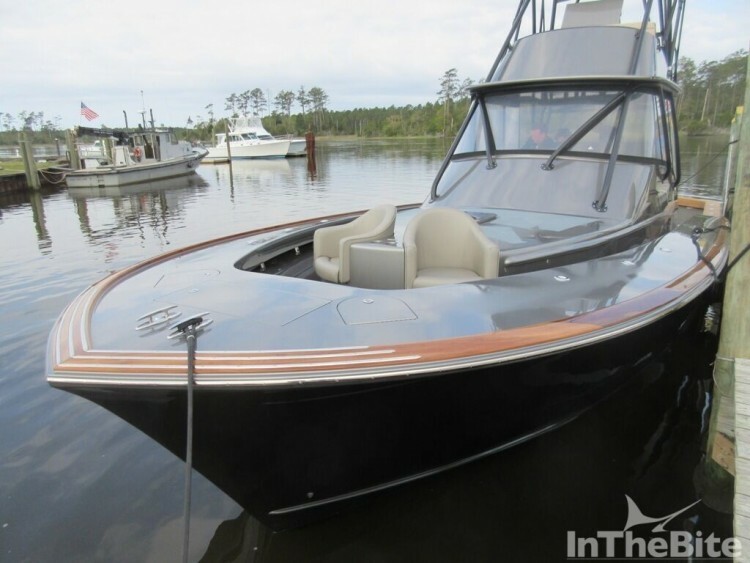 Crystal Coast Interiors is working on the soft goods for the cabin while the Captains Shop has helped to finish out the forward bucket seats, curtains and mezzanine seating.